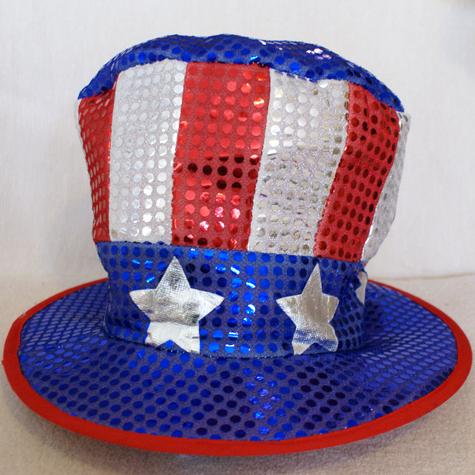 This is a great patriotic item for dozens of occasions, the Uncle Sam Patriotic Stove Pipe Hat. Seven silver stars surround the bottom of the hat, which is resplendent with sequins all over, including the brim. The outside of the brim is red with a reinforcement device so it will keep its shape. This is not a small hat - I have a fairly large head and it fits me well so I would say it is 'one size fits most' and it�s about nine inches tall. Made of very soft, durable material this hat says, "it�s time to party." 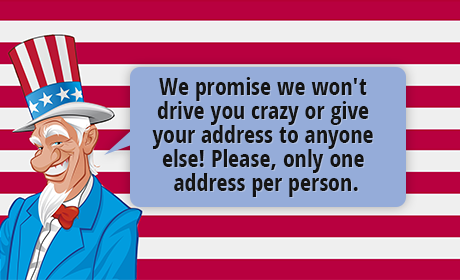 I spoke with Sam and he told me he wants YOU to wear his hat. I wear mine every day.